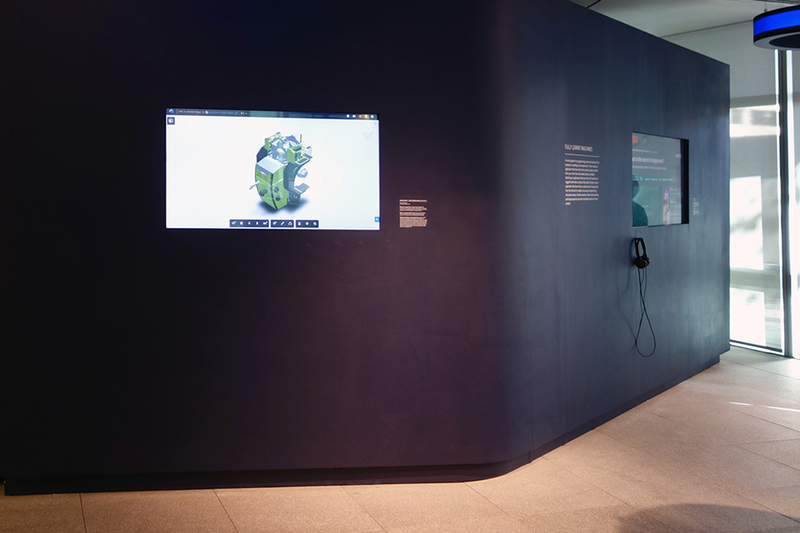 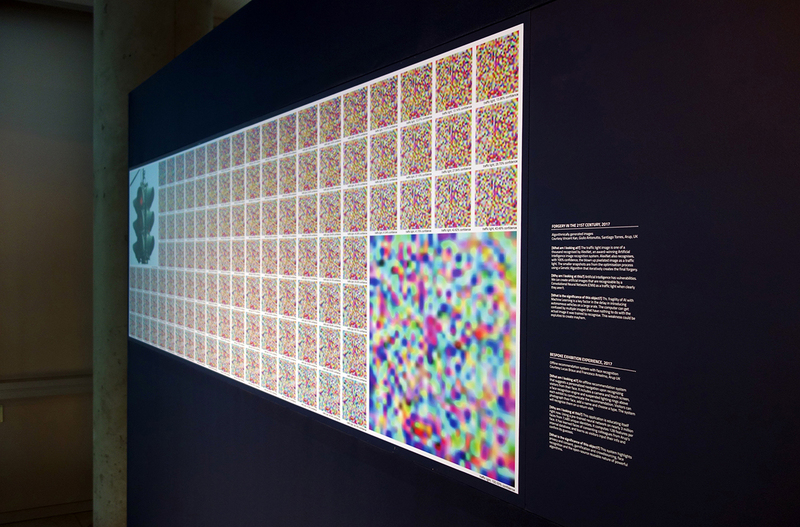 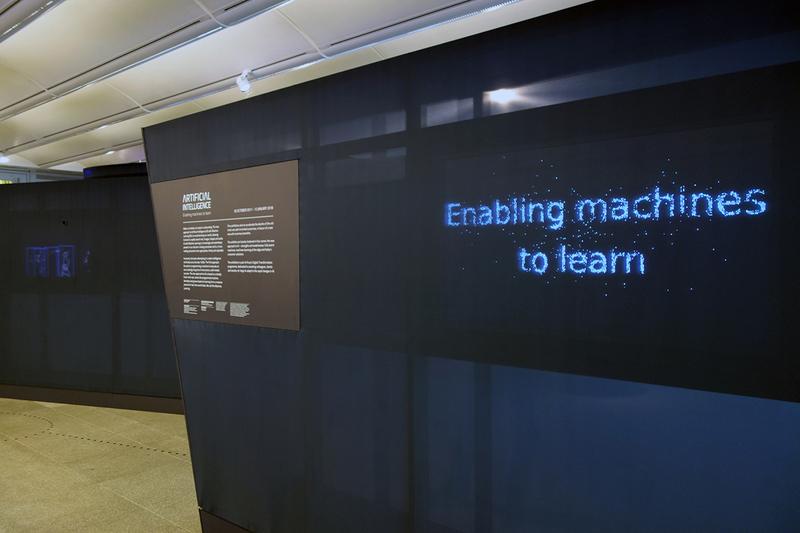 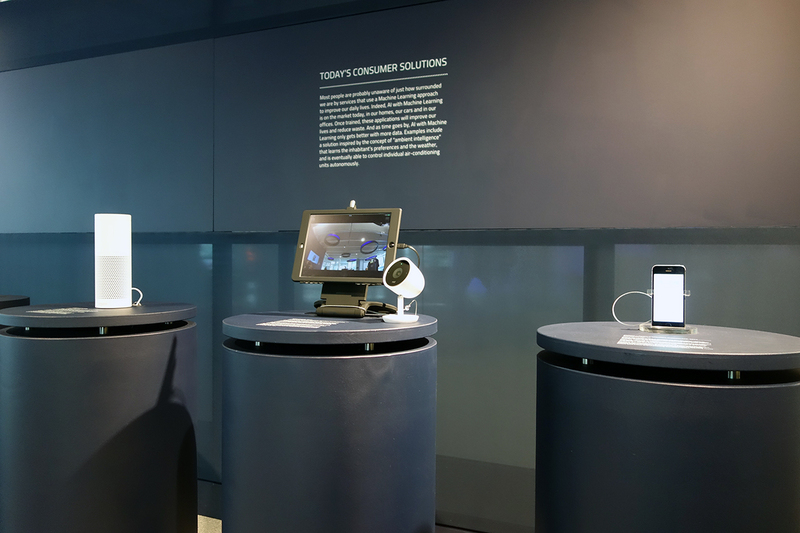 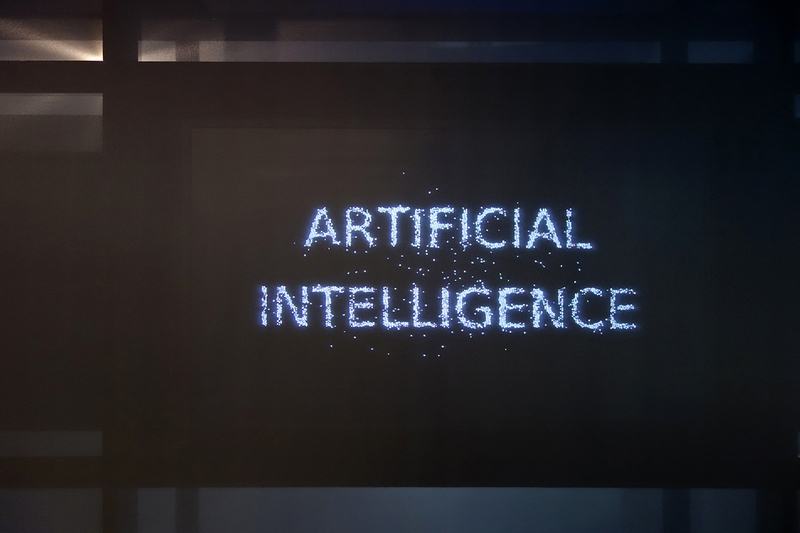 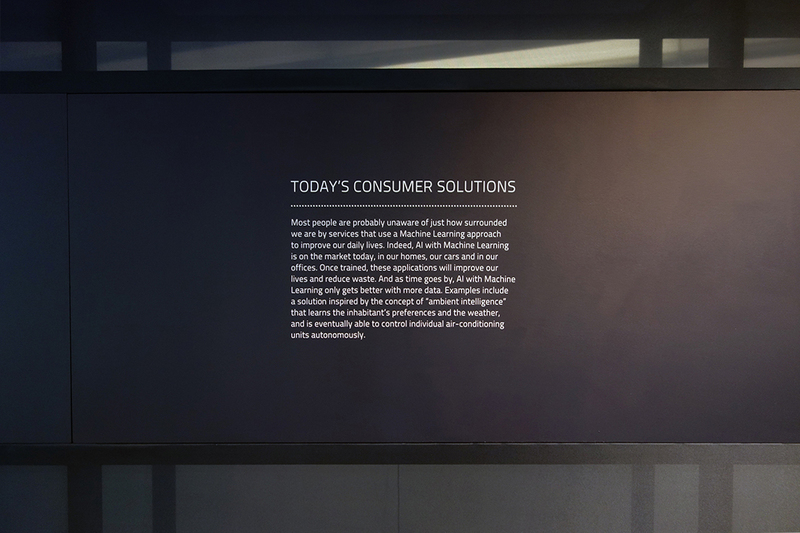 We worked with long time collaborator, event organiser Toria Richardson, to provide support and graphics for the Arup exhibition Artificial Intelligence – Enabling Machines to Learn. 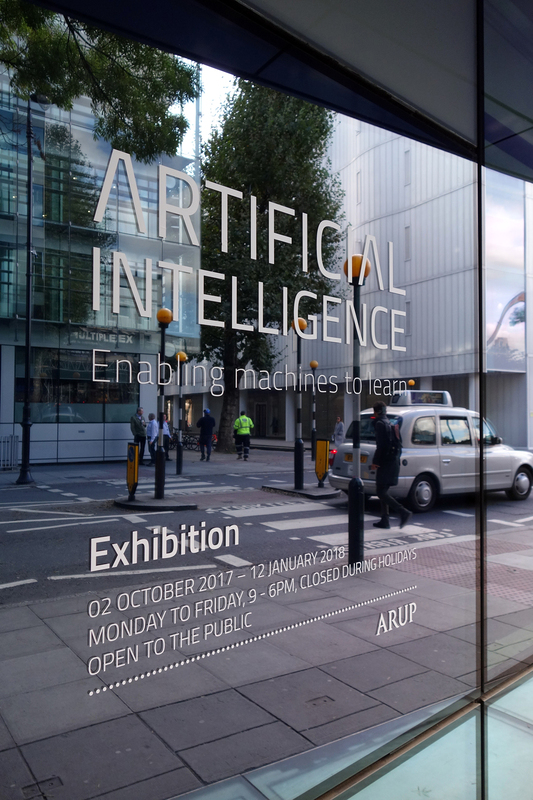 The event, on show at their offices in London, is part of Arup’s digital transformation programme to assist their colleagues, clients and society-at-large to adapt to the rapid changes in A.I. 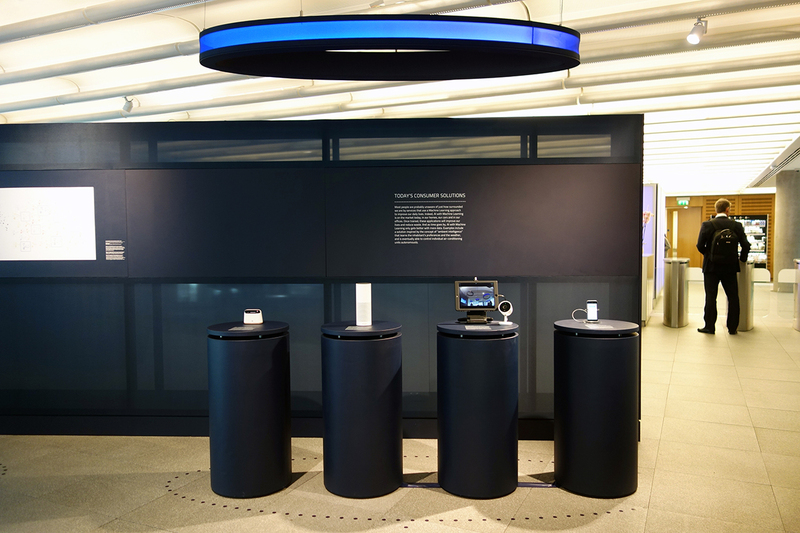 The exhibition was designed by Arup's innovative in-house Lighting Design team, who Toria liaised with alongside our production team, to bring the exhibition to life. 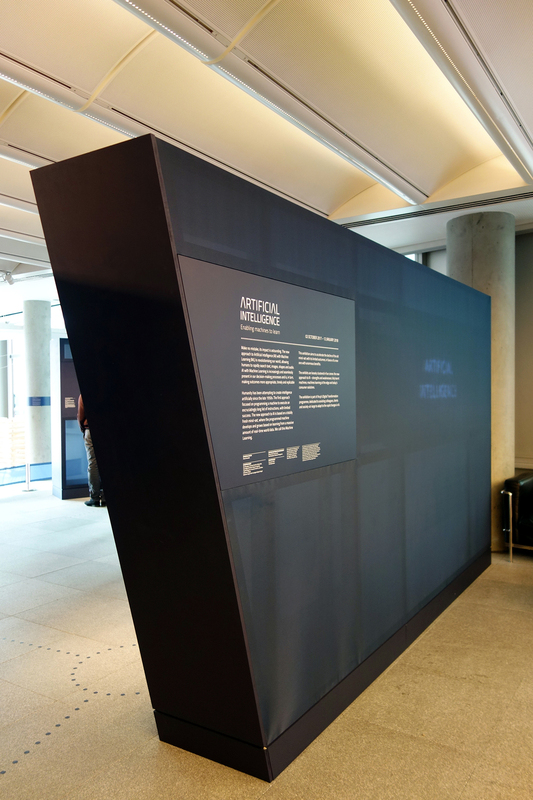 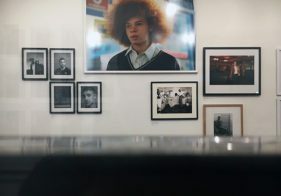 The exhibition walls were constructed from pre-fabricated wooden structures. 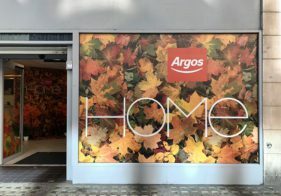 We then printed and stretched large single piece fabric wraps to the frameworks. 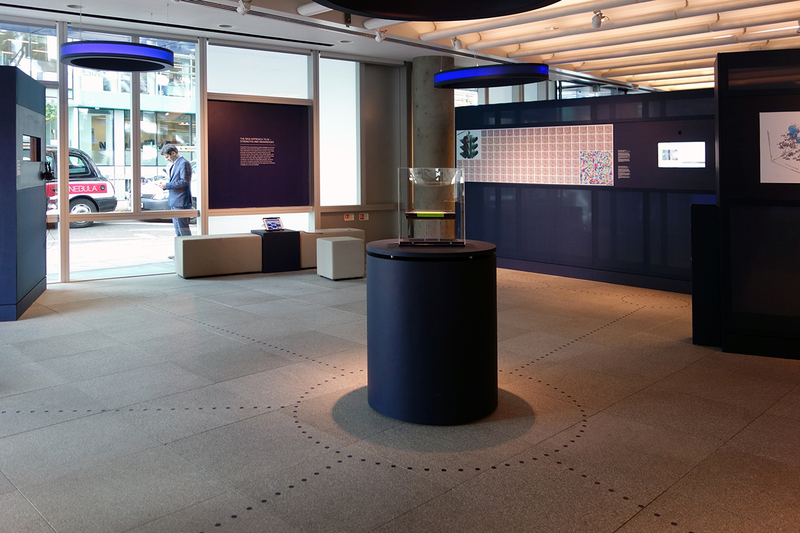 These stretched graphics gave us a semi-translucent wall infused with illumination from the office's surrounding light sources and the specially designed suspended circular luminaires. 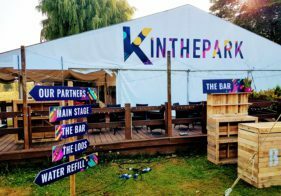 As items such as the podiums were being powder coated, it was important that our fabric graphics and signage colours matched. 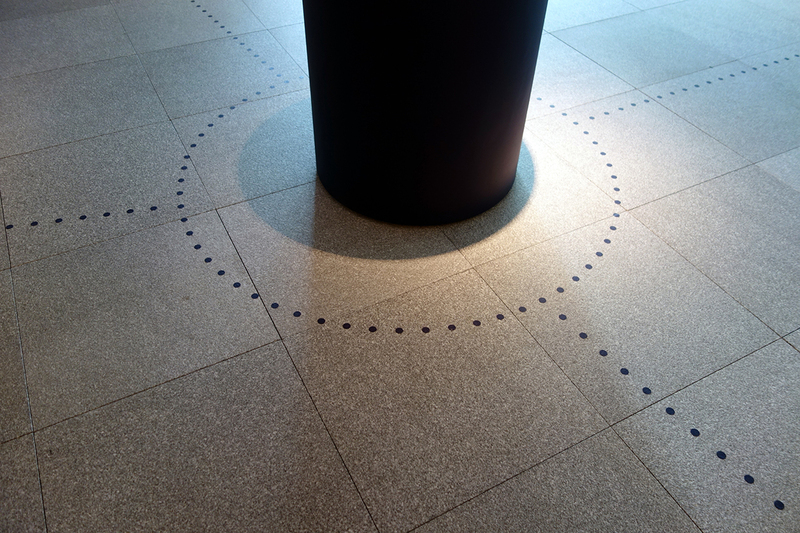 Fortunately we have a diligent and conscientious team who enjoy the challenge of matching a colour perfectly. 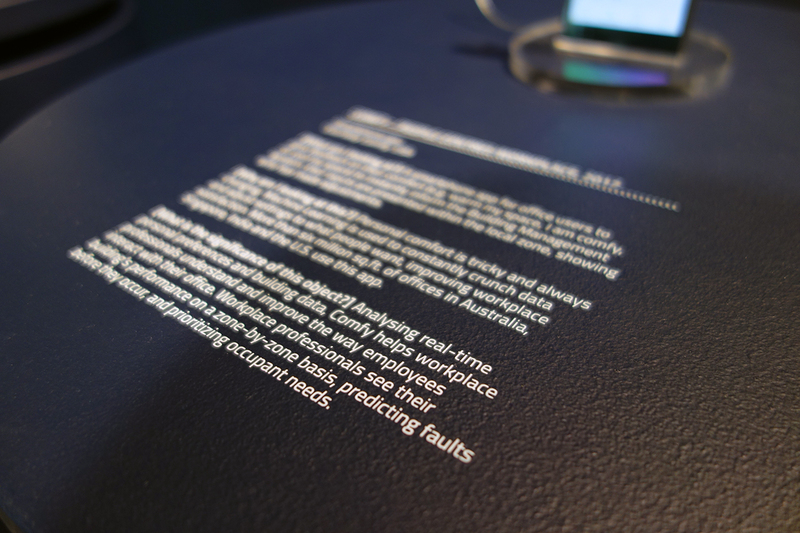 Our substrates all have their own designated media profiles on our print RIPs which give us a head start. 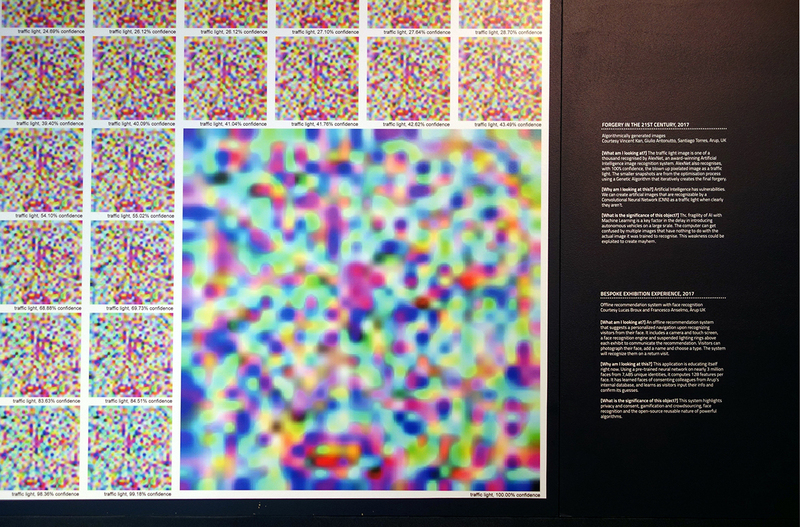 Then it's down to tweaking the files to match the colour references provided. 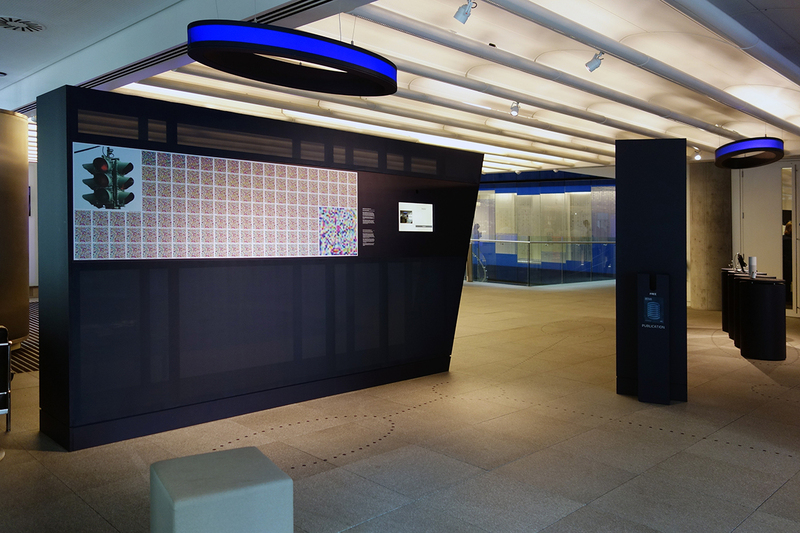 As well as the main exhibition walls we also produced a variety of supporting signage and descriptors. 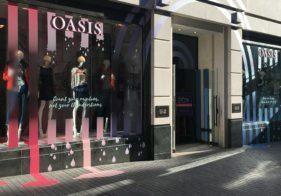 These included a lovely dotted floor pattern which visually joined the stands together, foamex description panels for walls and podiums, and cut vinyl decals for the exterior windows advertising the event to the public. 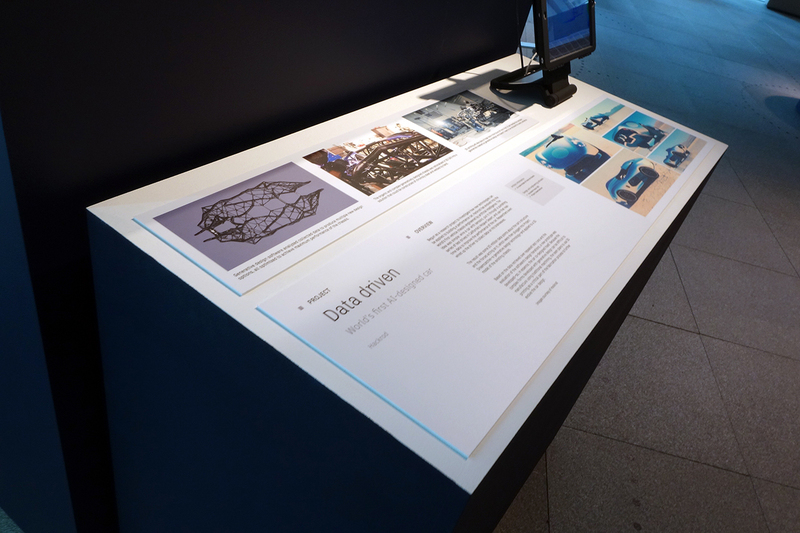 It's a privilege to be involved such an exhibition, as well as trusted to deliver to the high standard expected by Arup and Toria.